The month of February 2019 saw some changes in our staffing. Ojas is a familiar name for some or our clients, as he has previously worked with us.. Ojas has returned to AB Technologies after exploring other career options. As team leader of the Systems Engineering group Ojas will help the team become even more focused on your success, while he himself will bring extra experience from working for successful other MSP’s. The SE group had another new member in Campbell Duncan (System Engineer ). Campbell has been working in our Service Desk team since starting with ABT in September last year. Due to his ongoing development and excellent skillset he has been promoted to the role of Systems Engineer. Wayne has been with us since July. He has worked in the Systems Engineering group with great success and has proven to be an invaluable asset to the team. Wayne’s skills and experience have now helped him to become our newest Technical Consultant. As TC Wayne will be the endpoint for the most complex technical issues and will become a technical account manager for some of our clients. We’re looking forward to having Wayne in this role. Congratulations Wayne! It is official, ABT now has a local staff presence in Western Australia and Victoria. Equally important to our geographic heatmap are our clients in Victoria. We now have our technical consultant Nick Jennion based out of the Melbourne area, servicing clients locally. If you would like Serge or Nick to visit your office for an onsite consult, please let us know and we will make this happen. Q: On my invoice I now see Managed Server Patching. What is that? Alliance Business Technologies manages the installation of Microsoft updates on your servers and workstations. Microsoft updates are important patches to your operating systems. They ensure stability and safety and keep your IT secure. Systems that are not updated are vulnerable to attacks and become a big risk to your company. Q: Why am I being billed for patching? A: Patching previously was not covered in your agreement. We would alert you if your servers were out of date and install patches upon your request. We then would invoice you separately for this work. This caused unexpected cost and increased risk for you. We have now covered patching in your agreement. You are billed for $45 per server per month. If your server systems were patched frequently in the past, this should not be an increase. We are simply spreading it per month. Q: What about workstations? I thought you were patching them too? A: Previously Windows Updates on workstations were managed by the operating system. This means updates were installed without our involvement. We now also manage the installation of patches on your workstations, as long as we have a maintenance agent installed on them. We will charge you a fee of $4 per month for the maintenance agent. Q: Why are you not yet charging me for the workstations? A: Technically we are not charging for workstation patching. We will need to charge you for the installation of our management agent. The patching service itself is free of charge. However, we have received some feedback from a small number of clients about the stability of the notifications the agent sends out for workstation patching. In a few situations this has caused a workstation to restart in the morning without notifying the user. While we work this out we will not charge you for the workstation agent. Server patching is working flawlessly and as expected. Q: What if we have problems after patching? A: Unfortunately, Alliance Business Technologies does not have control over the patches Microsoft develops, your internal applications and their dependence on the updates or your hardware. 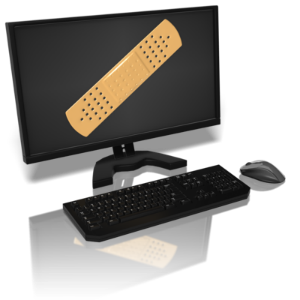 Should a Windows Update cause an issue on your workstation or server we will do everything possible to fix the issue, but if your managed service agreement doesn’t cover support, we may need to invoice you for this. Please speak to us if you would like to include support in your agreement and enjoy the benefits of all-inclusive management and support. Q: The numbers seem incorrect. What do I do? A: The quantity of workstations and servers comes directly out of our management system. If you believe they are incorrect, please let us know immediately. If the number is too high it is possible that you have devices you were not aware of. We can tell you what they are, and you can check. If the quantity is too low there may be machines without a management agent on them. That is risky because those devices are not patched and may not have adequate protection. Chrome web browser is now marking all HTTP sites as “not secure”. Chrome used to display a neutral information icon, but starting with version 68, the browser will warn users with an extra notification in the address bar. 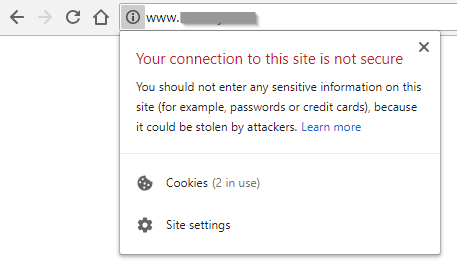 Chrome currently marks HTTPS-encrypted sites with a green lock icon and “Secure” sign. The Chrome team said the change was mostly brought on by increased HTTPS adoption. Eighty-one of the top 100 sites on the web default to HTTPS, and a strong majority of Chrome traffic is already encrypted. 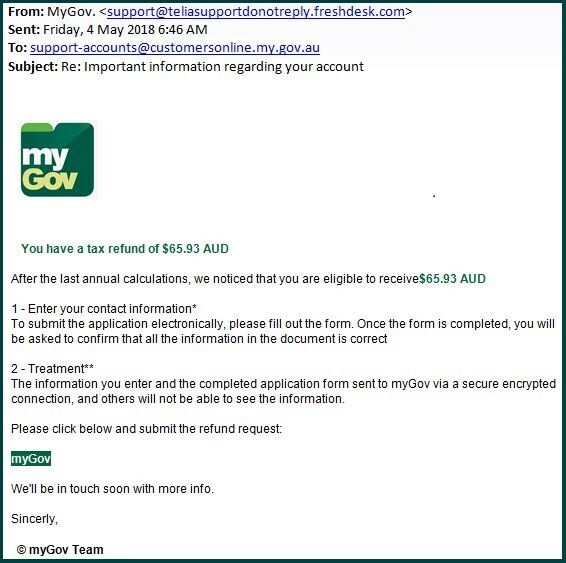 Scammers are becoming more sophisticated, so sometimes it can be hard to know whether a message is really from the ATO or a scam. In 2017, the ATO received over 81,000 reports of scams with $2.3 million reported lost and almost 10,000 people divulging personal information. Follow the ATO on Facebook or Twitter and visit the ATO’s Scam alerts page which provides information on the latest ATO impersonation scams. Subscribe to the free Stay Smart Online Alert service for advice on the latest online threats and tips on how to stay safe online. Follow Stay Smart Online on Facebook, for simple tips and advice to help you be safe online. As you are all aware in February of this year, the Notifiable Data Breaches Scheme commenced in Australia. You as an entity now have the obligation of reporting when a data breach is likely to result in serious harm to any individuals whose personal information is involved in the breach. With the ongoing issues of Data Security and Cybercrime, the European Union has just released their own Data Protection Policy: the General Data Protection Regulation, also referred to as GDPR. This regulation ensures there is one set of data protection rules for all companies operating in the EU, wherever they are based. The most important aspect of these new laws is ensuring your own Company Data is protected and secure. With new threats emerging every day, the risks of not securing your network is more dangerous than ever, especially for companies. Verizon stated that 61 percent of breach victims in 2017 were businesses with under 1,000 employees. With security and compliance an integral aspect of all companies, in recent months we have been contacting you by either email or phone to discuss your IT infrastructure. Please take these calls and Security Audit notices with serious consideration. If you receive tickets that our technicians are investigating excessive log-in attempts, and request a security audit – please do so. With businesses falling victim to a ransomware attack every 14 seconds, there is no time to waste. We as your Managed Services Provider are doing our best to make sure your company is safe & secure against all threats; however, we need your cooperation to do so. There’s no question that the situation with cybercrime is incredibly serious. It is not a matter of if you will get targeted, it is when. Products and solutions that have provided a foundation for a small business’s IT 2 years ago are often not adequate to offer full protection against these current threats. There is no single solution that will fully protect your business, and some businesses may not be able to implement all the recommendations to be fully compliant. Our aim is to provide the required information and recommendations necessary for the business owner to make an educated decision on security and business continuity. Enterprise Grade firewall with Advanced Threat Protection for on premise data. Implementation of VPN for remote access into the business. Ensure on premise data is backed up to dual destinations, including one off-site. Implement Advanced Threat Protection on all incoming emails to protect against malicious links. Ensure Office 365 is backed up , including Mail Archiving. Draft a Business Disaster Recovery Plan. Undertake Regular Network and Security Audits including passwords changes. We want to ensure your company IT infrastructure if as secure as possible. If you would like to discuss your security options further, please contact us sooner rather than later. 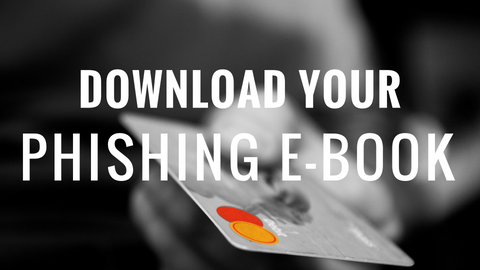 To help you be more informed and proactively educate your employees on phishing attacks, we have curated this blog and e-book. 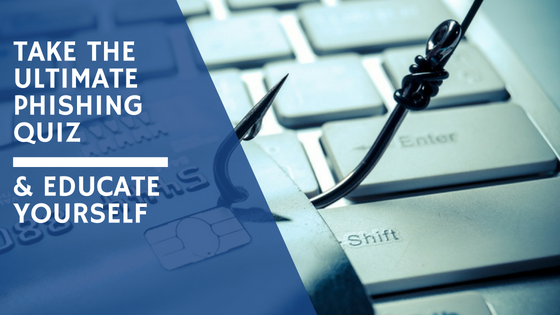 In this blog and e-book you will learn the most common types of phishing attacks, how to spot them, tips to protect your company and educate your employees. Phishing is an email that impersonates a legitimate, trusted sender with the goal of collecting sensitive data such as financial data or login passwords. Phishing emails typically contain a malicious link or attachment that install malware or link to a malicious website that lures users into providing information that can later be used for identity or data theft. Phishing emails are sent to very large numbers of recipients, usually at random, with the expectation that only a small percentage will respond. Phishing is an extremely common form of email attack. It is particularly dangerous because it relies on human behaviour. For example, a phishing email might claim that the user’s bank account is overdrawn and require the user to create a login account to access the fake bank website. Since people often use the same password for multiple accounts, the attacker can use the password supplied by the user to try to get into other real accounts owned by that user. 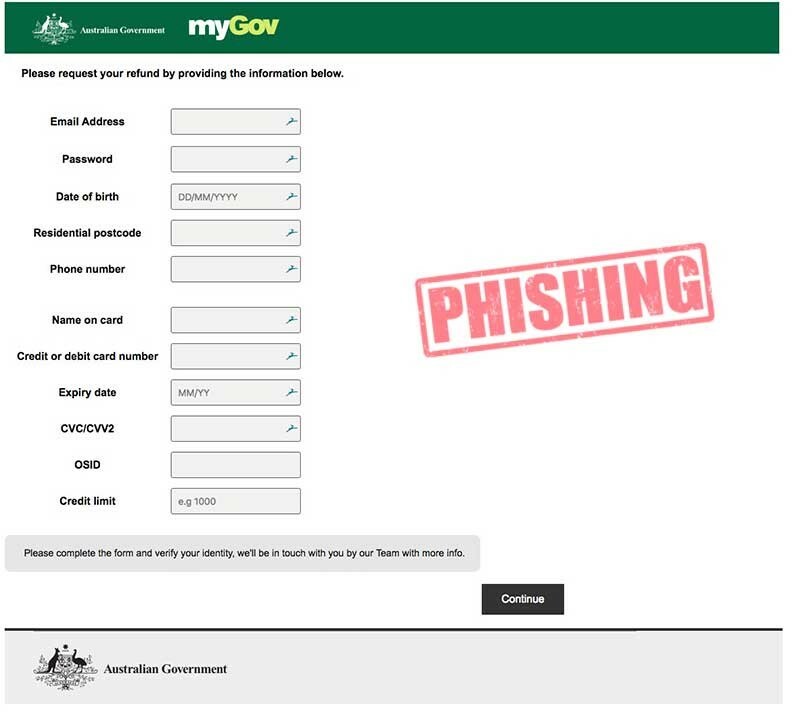 The most commonly reported scams to the ACCC (Australia Competition and Consumer Commission) in 2017 were phishing, reports to the ACCC indicated these scam types all increased in reported losses which surpassed $4.6 million in 2017. However, the true cost of these kinds of scams are often not felt right away as the scammer’s primary aim is to obtain personal and banking information for future use. What it is: The most common type of phishing scam, deceptive phishing refers to any attack by which the attacker impersonates a legitimate company in an attempt to steal your personal information or login credentials. Those emails frequently use threats and a sense of urgency to scare users into doing the attackers’ bidding. For Example: Scammers claiming to be from a Bank might send out an attack email instructing you that your account has been frozen unless you click on the link provided and enter your account information. What it is: Spear Phishing attacks are a personalised way for hackers to target you. Unlike phishing, which are sent in mass to target any user, spear phishing emails target a single person. Criminals select an individual target within an organisation, customize an email inclusive of your name, position, company, and work phone number, gathering this information through social media platforms and other public information. Their goal is to make you think they have a connection, which will lure you into clicking on a malicious URL or open an email attachment. For Example: A spear phishing email may appear to come from organization’s HR department asking you to verify your benefits policy information. What it is: CEO Fraud is when the attacker has successfully spear phished a CEO or other top executive of the company, and they have managed to steal his or her login credentials. For Example: The attacker then sends an email from the CEO’s account, or creates a new domain name that is off by one letter or number and duplicates the CEO’s credentials, and requests that employee performs a wire transfer of funds to a financial institution of their choice. These types of attacks rarely set off typical spam traps because they’re not mass emailed – the victims are carefully targeted by the attacker. What it is: While phishing attempts to capture personal information by getting users to visit a fake website, pharming redirects users to a fake version of a legitimate website you are trying to visit. This is done by infecting your computer with malware which causes you to be redirected to the fake site, even if you type the real address or click on your bookmarked link. Emails can contain links that open a phishing page hosted on a compromised WordPress site. The scammers behind this attack have set up their phishing page to look like an Office 365 sign in portal. Educate all employees and raise awareness of the dangers of Spear Phishing through training. Keep your system and programs updated. Install (and use all the features of) a reliable security solution, including vulnerability scanning, patch management, and advanced malware detection. Users need to be cautious and aware of all websites they are accessing, ensuring they are mindful of what files they are opening on corporate computers and devices. Companies need to avoid listing employee names on their company website. All employees need to be aware that Company data and information is an extremely valuable commodity on the cybercriminal market. Users should inspect all URLs carefully to see if they redirect to an unknown website. They should also look out for generic salutations, grammar mistakes, and spelling errors scattered throughout the email. Companies should consider amending their financial policies so that no one can authorise a financial transaction via email. Head to our webpage to download your Sentinel Data Sheet. Spear phishing emails are highly personalized. They also happen in a much smaller volume than traditional spam or phishing, and typically they do not contain malicious attachments or links. Because of this, they very difficult to detect using existing email security solutions that rely on volume, rules, or heuristic-based detections. Instead, spear phishers engage in real human conversation with the victim. The messages are very compelling social engineering attacks that ultimately give instructions within the body of an otherwise clean email, making them virtually undetectable with traditional solutions. Phishing attacks can be enormously costly and destructive, and new scams are appearing every day. Don’t wait until it happens to your business; take action to protect your company from financial and reputational damage, now. Effective cybersecurity requires a multi-layered strategy. You will significantly reduce the risk of malicious email entering your network. Please contact one of our team members today about your company’s cybersecurity needs. ABTechnologies is proud to announce that in May this year we have been awarded two ‘Top Performing Partners for 2018’ awards. 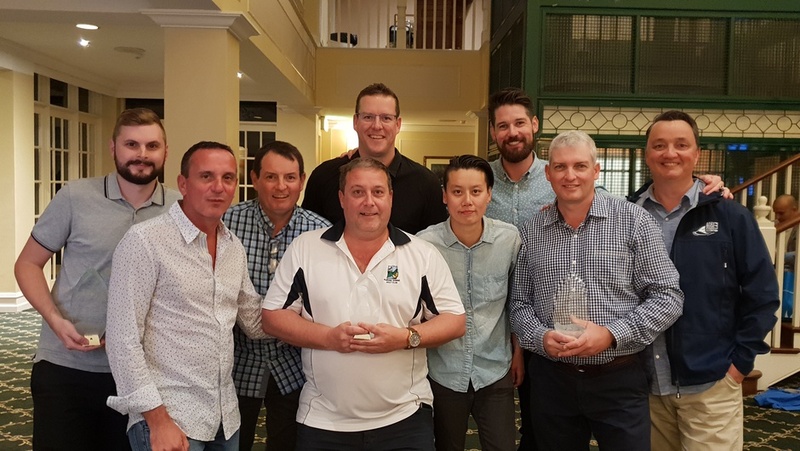 ‘Cloud Market Place Partner of the Year’ for Australia at the 2018 Cloud Summit in Florida, USA, and ‘Growth Partner of the Year’ as well as ‘Technical Excellence’ at the Barracuda Networks Awards. Our Operations Manager, Troy Radloff, flew to the United States to accept the award on behalf of ABTechnologies. The annual awards spotlight Ingram Micro channel partners worldwide who have exhibited a high level of innovation, advocacy, performance and sales success with Ingram Micro and the Ingram Micro Cloud Marketplace. Ingram Micro Cloud identified channel partners who have demonstrated an unparalleled commitment to reinventing the customer experience in the connected economy and driving new cloud capabilities through the Cloud Marketplace. These partners have all demonstrated the ability to help end users transform digitally using cloud technologies. Other criteria used to determine this elite group included overall cloud business growth, peer-to-peer leadership, and level of engagement and alignment with Ingram Micro. Three of our team members attended Barracuda Networks ‘Big Fish’ Event along with several other Barracuda partners. This is the first year we have attended the event and were honoured to receive three awards. One which we are particularly proud of is our award for Technical Excellence, this award is based on the quantity of achieved technical certifications for the year. We would not have been able to achieve any of these awards without the dedication from our team, and would like to take this opportunity to thank them. We look forward to achieving more goals as the year goes on.